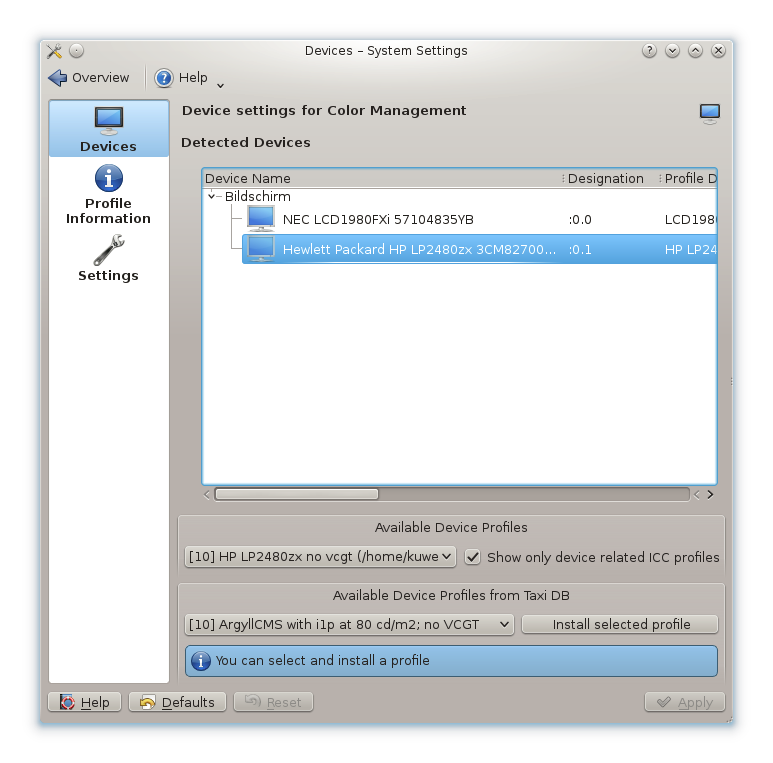 KolorManager is a front end to Oyranos´ settings and device configuration. It can be found in KDEs systemsettings panel. The KolorServer kded module implements the X Color Management specification and was used by KWin in KDE-4.x.